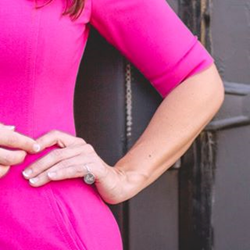 After countless online dating disasters, two women created an alternative to change the way singles meet. No app required. Flirt! 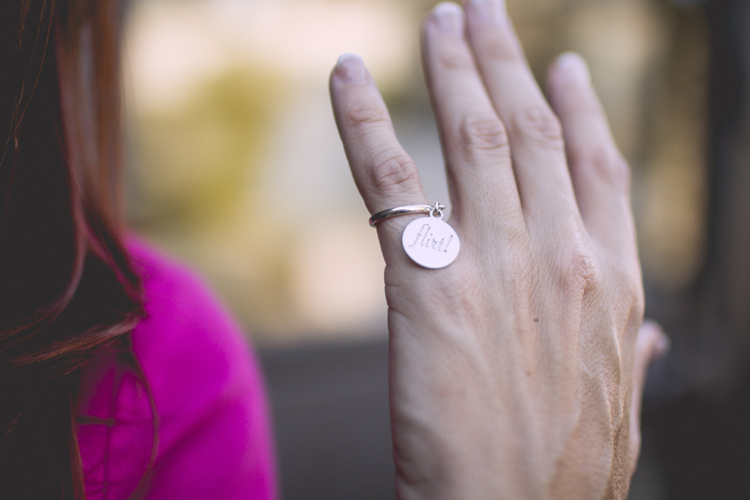 Ring is a subtle way to show availability and encourage the first "hello." Alleviating guesswork to inspire natural conversations among singles just makes sense! Love may be in the air for some, but for singles, Valentine's Day is often met with dread. Flirt! 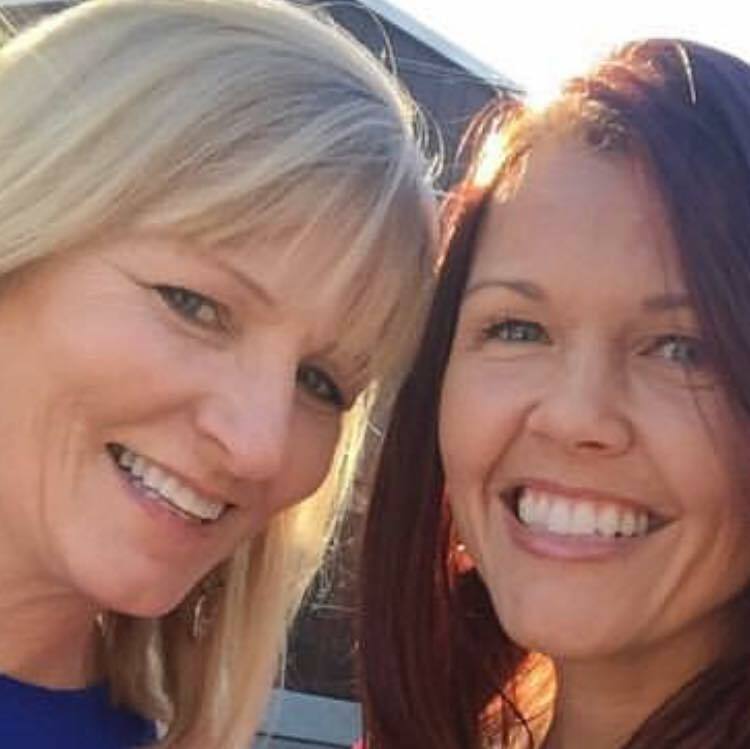 Ring creators, Kristen Chandler and Becky Parks know the feeling, but this year, they're celebrating! On February 14, this tenacious duo is launching Flirt! Ring, a sterling silver dangle ring worn on a woman’s left pinky to show she’s available. When a man checks to see if a woman is married, her Flirt! Ring answers his real question and encourages the first “hello.” With a classy yet casual style that's often likened to Tiffany®, this eye-catching “single ring” is designed to foster organic connections in everyday life. Having experienced the good, the bad, and the ugly of online dating, necessity truly was the mother of invention for the creators of Flirt! Ring. After wasting endless hours reading profiles and going on hundreds of first dates over the past four years, Chandler and Parks concluded that true love will most likely be found when chemistry happens in real life. “Sparks happen in our everyday lives, but we’ve come to rely on dating sites to tell us who’s single. Consequently, we don’t pay attention to the opportunities right in front of us. We've stopped taking risks and no longer flex our flirt muscles.” explains Parks. The concept behind Flirt! Ring is not a new one. Many cultures have symbols to identify single women. For example, in Hawaii, a lady wears a flower near her right ear to show she’s available. “There are rings for married people, it only makes sense to have a ring for singles. Alleviating the guesswork will inspire natural conversations that otherwise, may never start. Singles dream of meeting their mate in a chance encounter; with Flirt! Ring, that could happen!” says Chandler. Personal experience aside, there is plenty of proof these entrepreneurs are on the right track. While online dating fares well for singles looking for casual encounters, recent research shows the trend isn’t delivering lasting love. A study of 4,000 couples found that relationships are far more stable if couples meet in traditional ways as opposed to online, and those couples are also more likely to get married. For singles looking for a healthy committed relationship, Flirt! Ring could help them find love in all the right places. Made in the USA of 925 sterling silver, Flirt! 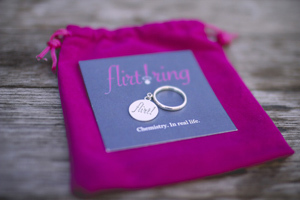 Ring retails for $89 on flirtring.com.